Paul Gaudette was such an sincere person to begin with. He did our home inspection in timely manner and thoroughly. Any questions we had, he answered with full extent to his knowledge and assured us. His character gave us a "welcoming feeling" which is a huge plus for us. For someone who loves what they do, I admire his genuine love for his clients. Thanks Paul, we will definitely spread your business with great feedbacks!! Paul is an outstanding home inspector and communicator. Paul carefully explained the process, answered all questions and provided professional feedback prior to, during and after our home inspection. He had the heart of a teacher while leveraging his many years of being a professional in the industry. Paul saved my wife and I from buying a home that most likely would have turned into a money pit. Along the way he also suggested other professional service providers (septic, plumbing, etc.) to aid in our decision. My wife and I will definitely be using Paul for any future home inspections and I will continue to recommend him to friends and family. I recently had my offer accepted on a Townhouse and had 10 days to try and find a home inspector. I went to yelp and contacted a few different companies but one did not answer and 2 others could not fit the 10 day window (especially with the 4th of July coming up). Hometech Property Inspection was recommended by my realtor and was able to inspect my townhouse within 2 days of my call. Paul arrived about 20 or 30 min before I did to take pictures and inspect the outside of my unit so that we could utilize our time most efficiently. Once inside, we spent a lot of time discussing the hot water tank, fuse box, furnace, etc. which was extremely helpful to me as a first time home buyer. 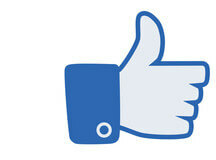 He was extremely thorough and after 3 hours, I felt very happy with the Paul's level of detail and professionalism. 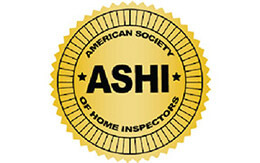 I just received the 40 page home inspection document this morning and was very impressed with the level of detail, number of photos, and recommendations that were included. Though Hometech is a little more expensive than some other home inspection companies, I feel like I truly got what I paid for and strongly recommend Paul to anyone that is in need of an inspection. Paul provided detail oriented and organized report. Paul explained everything so well during inspection, which was really helpful for me(being a first time homebuyer). Along with home inspection, Paul also provided insights and suggestions on things to get done before moving in like servicing, electrical inspection from National Grid etc. I recommend Paul for detail oriented home inspection with organized reports which are easy to understand. Paul was very thorough at our home inspection in Windham NH and provided the full report in binder format which made it so easy to review everything and see what was recommended for repairs or needed immediate attention. I would highly recommend him to anyone who needs a home inspection completed! I made a wise decision in having my prospective home inspected by Hometech Property Inspection Services, L.L.C. located in Nashua, NH. Paul Gaudette's staff coordinated and fulfilled all my needs beginning with my phone call for a quote and set up my appointment the same week! This home inspection was my first experience, Paul was extremely informative and educated me throughout the visual inspection, leaving me with an organized 3-ring binder containing a detailed how-to read my report prior to receiving the actual inspection report. If you are looking for exceptional and professional home inspection services like I was, then you came to the right home inspector! I hired Paul G. a couple of weeks ago to inspect a new home I was about to buy. He was very knowledgable,professional ,detail and quality oriented.He answered all of my questions and because of that I had a better understanding about the systems in a house. yard drainage, erosion, electric septic pump and overall poor craftsmanship. Inspections , he did an excellent job for me and will do for you also. Paul has inspected two homes for my son and one home for myself. He goes above and beyond the call of service. He spends a lot of time looking at each part of the home and explaining the good and bad of each area. He saved my son a lot of money on a home that had a fire in it and was not disclosed. The 2nd home was so much nicer and Paul looked at every detail and explained different issues. Without his services he may have been in for a bigger problem. We have referred Paul out to many other prospective home owners. Thank You Paul - your services are awesome. 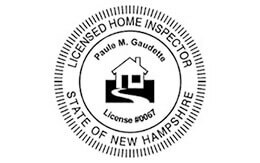 We have used Hometech Inspections for two properties in NH. In the first one, the thorough & professional inspection identified areas of concern that were great enough that we passed on continuing with the offer. In the second, it was Hometech's continued eye for detail & comprehensive water test which identified a potential latent issue with well water that could cause health issues. This information contributed to us avoiding getting into a property in need of costly, yet not readily apparent repairs. We would not hesitate to recommend Hometech Property Inspections to anyone who takes their investment in a home very seriously. We will be calling Hometech when we find our next potential property. I am in the process of purchasing a home, and found Paul through the recommendation of a co-worker. Paul was out on the site within a couple days of our initial discussion, and performed as thorough an inspection as anyone could hope for. I came away with a very well-documented binder (along with numerous photographs) which contained everything I could ever want to know about the various systems and structural aspects of the home. I also came away with a much better understanding of these systems and structural aspects because Paul was very detailed in explaining his findings in language I could understand, both on-site and in after the fact. I highly recommend Paul and Hometech if youï¿½re needing a home inspection. My wife and I are very excited about the home inspection you performed for us. Your thorough efforts resulted in us making the best decision of our lives. Your keen eye saved us thousands of dollars if we had continued to purchase the home. We cannot thank you enough for taking the time to explain the structural issues of the home and how that could have adversely affected our future plans. We truly appreciate all of your help and will definitely call upon your services when we find the right house in the near future. Thank you again for the inspection and the photos. I recently purchased a condo in Nashua and found Hometech on the Internet.I knew nothing about the company but was impressed by the website and Other peoples testimonials. I called them up and they scheduled an appointment Right away for me. Paul was prompt and prepared for the home inspection. He was very knowledgeable and thorough. He was very diligent to document Everything in a very organized binder but also took the time to explain and show Me all the concerns in terms I would understand. I feel confident purchasing this Condo now that Paul has gone through the entire home so I know exactly What I am getting for my money. I would highly recommend Paul. I just wanted to let you know that I closed on the house this past Friday!!! I am so happy. I am having the floors sanded and refinished and it will look beautiful I have a friend looking into the attic as another room. The pictures you took were beautiful and promising. thank you again for your professionalism. I wish you all the best. Paul recently did an inspection on a home we purchased in Plymouth, MA. Paul was very professional and detailed. He spent a few hours going through every nook and cranny. He was extremely thorough. Because of Paul’s knowledge of inspections, he found that a new furnace was needed. We bought the house with a new furnace in place – excellent job.I would highly recommend Paul to anyone. Paul's friendly and professional service helped take the stress out of buying our new home. His knowledge and experience were immediately evident as he walked us through each part of the inspection. Paul was very thorough with our inspection, and we never felt rushed as he explained the issues he found and answered our questions. Our experience with Hometech was very positive in every aspect and we would recommend Paul and his company to anyone buying a home. If any family or friends inquire about a home inspection that needs to be completed, I'll certainly refer them to you. I want to say that we have had a great experience with Paul, and his level of professionalism is extremely high. He was very helpful, as we are first time home buyers , and pointed out every level of detail to us, as well as answered all of our questions thoroughly. He also helped us get out of what could have been a very sticky situation, as the most recent property we were looking at many hidden dangers and problems. Without Paul, we wouldn't be where we are today, and look forward to working with him again, and would recommend him to anyone who wants the job done right! I was referred to Paul Gaudette at Hometech Property Inspection Services as I was going through the process of purchasing my first home. Needless to say, I was feeling overwhelmed by all there was to know and to learn about the home buying process, and since I am buying a newer condo, some tried to tell me that I did not even need an inspection. I am so glad I ignored that advice: not only did Paul find a few safety issues that needed addressing, he walked me though the unit, including the heating and water systems common to the entire building. He gave detailed, but understandable, explanations and did a very thorough job- I'm sure some would have glossed over a small condo such as this! I think this speaks to Paul's dedication to the customer first and foremost. Thanks to Paul, I am a more informed buyer with the peace of mind knowing more about my new home! I would recommend him to anyone looking to buy or sell a home- you will not be disappointed! Paul, I wanted to say thank you so much for the complete and thorough home inspection you did on the house we are looking to buy. You where very helpful and extremely patient with our endless questions. I feel very confident in buying this home that there will be no surprises moving forward. I will gladly recommend you and your company to anyone looking for a home inspector. I will also definitely call you again if we are need of another inspection later on down the road. I received very sound advice from you and your staff at home tech. "With all the stresses that come with purchasing a home, the home inspection was a relief using Paul. His thorough inspection and explanation in addition to his knowledge and personality makes you feel good about the home you are purchasing. I would recommend Paul to anyone. Keep up the good work."